The human eye is a naturally lubricated organ that is susceptible to external elements. Tears keep the cornea lubricated, which facilitates ease of motion when looking, blinking or opening the eyes after rest. However, external elements like dust, dirt and other allergens can irritate the eye, inhibiting your tear ducts from working properly. 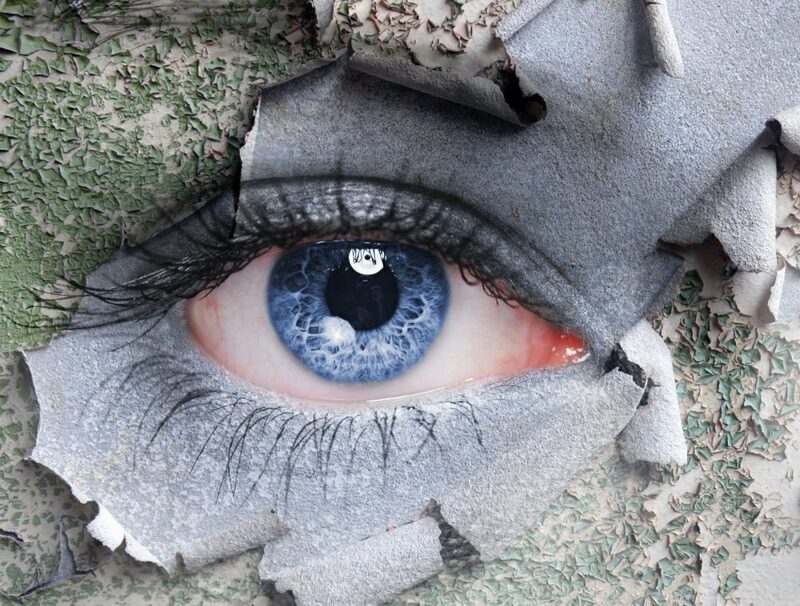 When your eyes experience continual dryness, it’s likely you are suffering from the condition known as dry eye. Dry eye is categorized by the eyes’ inability to produce enough tears or tear film to coat the eyeballs. Excess tears may not sound like a symptom of dry eye, but irritation from dry eye can cause the tear ducts to become agitated, causing the eyes to produce a surplus of tears. One of the best treatments for dry eye is artificial tears, which are eye drops that act like human tears. Artificial tears can be purchased without a prescription. However, they can agitate your eyes further if used more than six times a day. Switch to preservative-free brands to avoid this issue if you use eye drops a lot. Prescription eyedrops like Xiidra are used for more difficult cases of dry eye. Serious, frequent cases of dry eye may require more intensive treatments. An ophthalmologist may recommend blocking the tear ducts using tiny silicone or gel plugs. They may also recommend surgery to permanently close the tear ducts to conserve tears. Get rid of dry eye and see clearly again with outstanding eye care and examinations from Edina Eye Physicians! Our quality of care is unparalleled, as we provide pleasant and convenient eye examinations utilizing the most advanced eye care technology on the market. 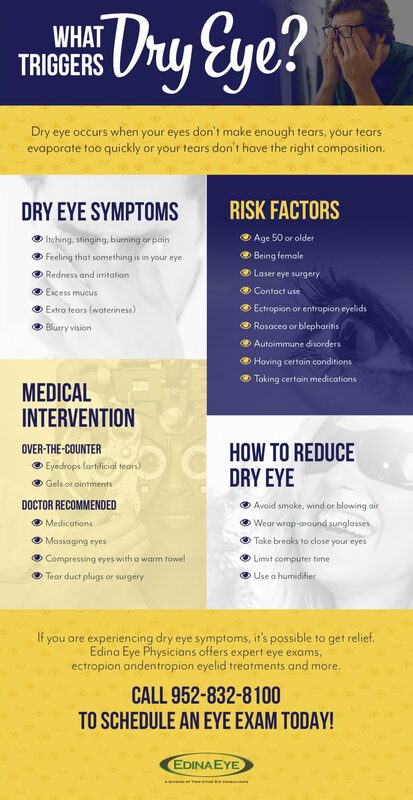 Our certified and licensed ophthalmologists will utilize accurate diagnostics to prescribe or recommend the right medication needed to cure your dry eye. Contact us today to schedule an appointment!